The legal cannabis business is beginning to gain momentum and being under prohibition for so long was sure to lead to some well thought out ideas. Stoners have had a long time to think about ways to help fellow stoners and improve the smoking experience. Even those who don’t smoke are looking to break in to cannabis, an industry that is sure to make a fortune in the next few years. Take for example, the cannabis recommendation company called Potbotics, founded in 2013. The company has formulated an app titled PotBot for desktops, iOS, and coming soon to the Android market. 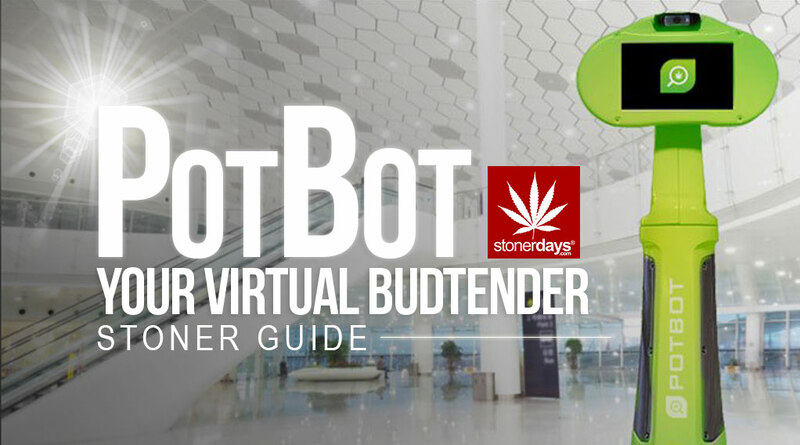 PotBot will act as a virtual budtender and assist users much like WebMD. It will allow those looking for medical cannabis to enter their symptoms and get a heavily researched answer, with recommended strains and the levels of potency that patient should ingest. The app also lets them know where the closest dispensary is. Cannabis has positive effects for a multitude of different illnesses and afflictions. The plant has thousands of different strains, with potency levels all over the place, some high in THC and some in CBD. While some strains will help with anxiety and depression, others will help with eating disorders and chemotherapy patients. Knowing which strain an individual should take for a specific diagnosis is extremely important to treatment. The biggest competitor for PotBot would be the expansive Leafly site. On Leafly, users can review strains and dispensaries, along with news articles, canna-business consulting services, and a cannabis accessory store. There are thousands of strains and reviews on Leafly, making it a tough rival. But PotBot information won’t be user written. Instead, it will be heavily researched and carefully edited before being posted to the app. This will make it far more useful when looking for specific, scientific cannabis research in regards to treatment. PotBot is not the only thing that Potbotics is working on either. The company is also working on two other products that will be revolutionary in the cannabis industry; a wireless EEG helmet called the BrainBot that will allow doctors to analyze neural responses to cannabinoids as well as the NanoPot, a DNA reader that scans cannabis seeds to optimize grow yields. There will be many more innovative ideas such as these and will hopefully show how beneficial cannabis is to humans. This entry was posted in Featured, Stoner Guide and tagged potbot, stoner.